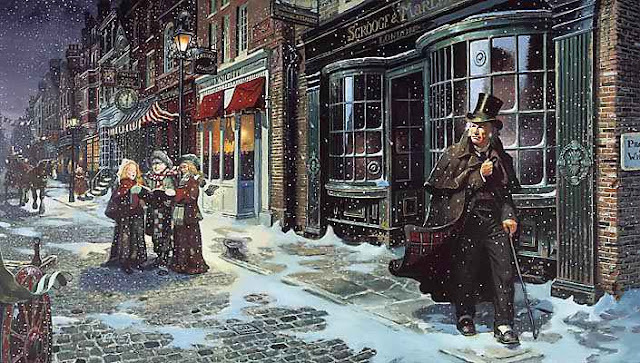 In years past, I have read The Christmas Carol aloud to my children. This year, I dug out a copy that was a little newer with crisp pages that were not yellowed and delicate from time. I turned on the fireplace and turned off the lights so we could sit in the warm glow of the Christmas tree lights. Then, I used the flashlight on my phone to begin reading to the children, using the best of my English accents. So who is St Dunstan? That he was heard three miles or more. 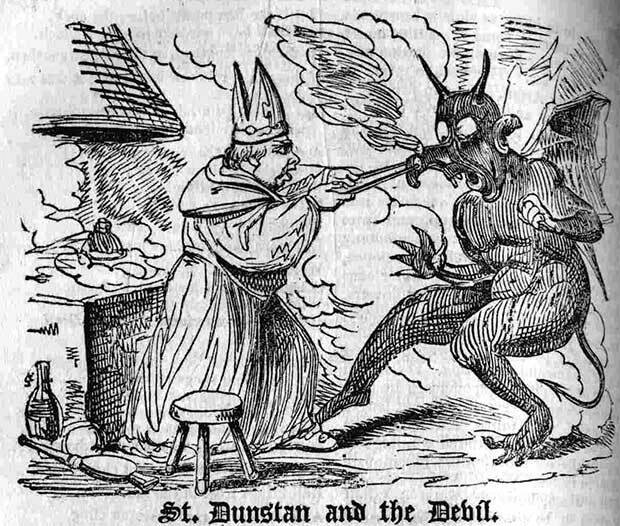 In another folk story, the devil asks Dunstan to shoe his horse, but instead, Dunstan nails a horseshoe to the devil’s hoof. This causes the devil such pain that Dunstan agrees to remove the horseshoe if the devil promises to never enter a building with a horseshoe hanging over the door. I no longer believe in hell as eternal punishment, but what Dickens has described here is a pretty good depiction of what would be perceived as torment (or purgatory). What if, in death, we were able to see all those that were broken-hearted and in desperate need? What if we could see their pain and anguish and know how best to help, but be unable to reach out and take care of them? How would it plague our hearts and burden our souls? How torturous it would be to be forced to watch the suffering of living souls and be unable to do anything about it? 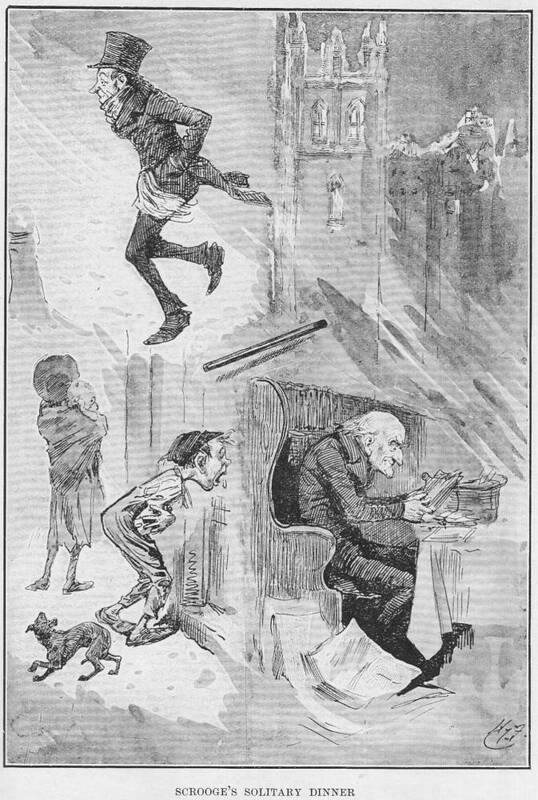 Marley came to visit Scrooge to warn him of the fate that was about to become his own. He showed him his heavy chains that he forged link-by-link and told Scrooge that he had seven years on him—that Scrooge's chains would be even bigger, heavier, than Marley’s. In these revelations with Marley, hell became the realization that the ghosts had ample opportunity in their lives to love other and be kind and good—spread charity and empathy. Yet, they failed, and therefore would watch the pain unfold before their now open eyes. So don’t wait. Don’t cast your eyes aside when you see a beggar, a homeless man, a child that’s wayward in behavior and in desperate need of affection. Don’t fail to see the tears behind the young mother’s eyes. Don’t ignore the pain behind the tired man’s eyes who works and works and works but still can’t make enough to provide for his family. Don’t be Marley and Scrooge. Don't get lost in business and money, in success and pride. Don’t be the multitude of moaning ghosts in the streets of London--lost in endless time for wasting that which was given them in life. Don’t end up realizing what life was supposed to be about before it’s too late. Shake off your heavy chains. And help make others free. DISCLAIMER: I still don't believe in eternal punishment. I've become something of a universalist that believes God will restore ALL things unto Him.